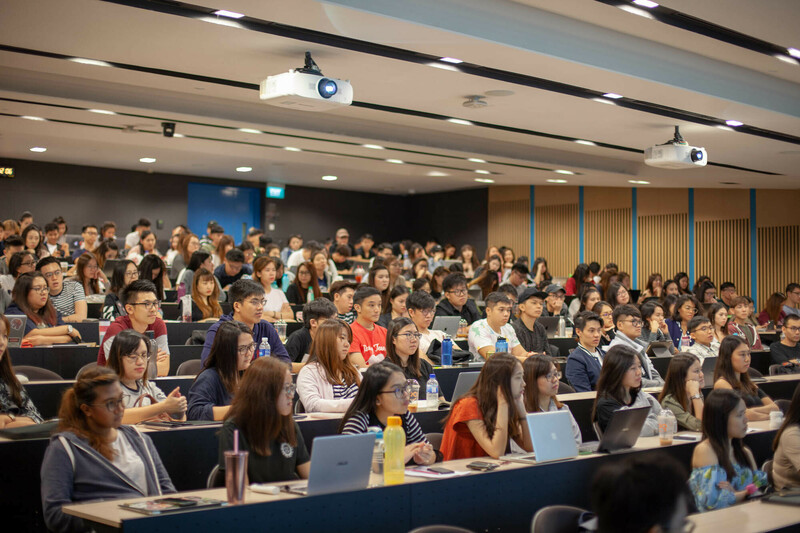 At the Singapore Institute of Management, (SIM), “Key Challenges in Digital Marketing” were addressed by the Buuuk Director and several members. The panel took place on Aug 28th 2018 and consisted of four speakers and moderated by Dr Finola Kerrigan of the University of Birmingham at SIM. The panelists answered questions from the audience in addition to addressing the topic at hand. Siddhant Chaudhary, Buuuk’s marketing lead, curated the panel which included Buuuk’s Director and Head of Design Navjot Pawera, as well as Singapore’s top fashion columnist/blogger Wendy Cheng a.k.a. Xiaxue, and Evangeline Leong, a partner of PurpleClick Media and an expert in digital marketing. The speakers offered a variety of useful advice for young people preparing to start their career. Here are some of the main points made at the discussion. Xiaxue shared an anecdote about how she wanted to post a picture of her and her grandmother standing together, but her grandmother’s outfit didn’t fit in with the image she wanted to portray on her account. Being a fashion writer, she always notices the small things, and knows that many of her viewers might notice them too. You should never second guess who you are, even when it comes to expressing yourself through social media for all to see. She posted it anyway, and realized after that other peoples’ opinions are not as important as doing what she really wanted to do with her profile—share her life, including those closest to her, with the world. As Xiaxue discussed, you will inevitably have ups and downs during your career. It’s important to be persistent and be strong through the trials and tribulations you will face. These experiences will only make you a stronger, more capable person—even the negative ones. Still Not Sure What Career Path to Pursue? Don’t Worry. Navjot has had a winding career that brushed on many different roles. Eventually, he discovered his passion for product management and came to be the director of Buuuk. He pointed out that it’s okay to be unsure of the future. As long as you are patient and work hard, your calling will come. Navjot described how the industry can strengthen from companies cooperating and combining efforts. This can benefit the ecosystem of the industry, and in turn, contribute toward its overall advancement. Siddhant has contributed in many ways toward bettering local young professional and digital marketing communities. Having put together the panel himself, he has also created other opportunities for young people to learn, engage, and connect. With student ambassador programs for Nokia India, LinkedIn India, and more, he cares deeply about creating learning and engagement opportunities for talented young people. This approach to your local community is not just rewarding, it opens doors for other people who might one day go on to do truly great things in their career. This is the foundation of success. Hard work pays off over time. People who simply give up when they don’t initially succeed miss out on the chance to succeed later through persistence. Siddhant has a diverse background in digital marketing, having eventually joined the ranks at Buuuk in Singapore as a marketing lead. From social media to influencer marketing from SaaS products to B2B marketing, Sid worked hard and learned as much as he could about the different industries. The key to success has been consistently learning, persistence and hard work, no matter what. The lessons from the panel were to just be yourself, be strong, don’t panic if you are still undecided about the future, don’t hesitate to cooperate with others if a valuable opportunity arises, focus on your community and its needs, work hard and be patient.